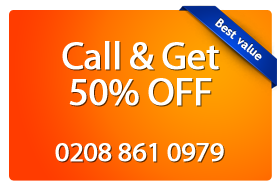 Trying to find the best carpet cleaning services in Finsbury Park, Haringey, N4 postcode area? For all people living or working in Finsbury Park N4 and looking for reliable & professional cleaning services – the experts from Magic Carpet Cleaning are here to help! We have gathered valuable knowledge and experience with the dust, soil and all kinds of stains. We work with trained and certified professional cleaners and modern equipment to ensure maximum results. People and Companies in Finsbury Park N4 Trust Us –See Why! We at Magic Carpet Cleaning are not afraid to give a 100%guarantee forthe quality of the servicewe offer! We will make your old and stubborn spots disappear without a trace no matter what their origin is. We search for and successfully apply new methods of rug, carpet or furniture washing. We care for the health of our customers and the environment so we use only 100% safe eco-friendly detergents. The Magic Carpet Cleaning employees are certified and are able to handle any situation related to professional cleaning. No hidden fees and additional burdens to the cost of our work! Our equipment is provided by the best in the business – Prochem, Rotovac, Karcher, Scotchgard. Our friendly support assistants will answer your questions 24/7 and will provide you a free estimation. The Steam Carpet Cleaning method is probably the most effective one for for deep cleaning of rugs and removal of intense pollution, including microbes. It achieves up to 99% efficiency and is preferred by people who are allergic to dust and soil and also for families with children. Our cleaning professionals rub detergent in the textile floor and then remove it by vacuum. The dirt and blemishes along with the dust, microbes and allergens, are removed as if by magic. The dry powder cleaning method is preferred by businesses since it is very fast and effective and does not use water. This means that the premises do not have to be closed until the washed floor dries. That is why this is the most suitable method for offices and places with high human visitation. The used detergents are nearly 100% biodegradable and are pet and child friendly. They are rubbed into the textile floor and are then sucked out by vacuum. The lack of water protects delicate fabrics from color change and mold. We at Magic Carpet Cleaning know how to do our job in an efficient and professional manner. We made the perfect combination between traditional carpet cleaning and the latest innovative procedures in order to provide the best possible service for our clients. Our technicians are fully-prepared to deal with every situation and if you call 0208 861 0979, you will see yourselves. We can handle all types of surfaces – wool, cotton, bamboo, coir, hemp, jute, sisal, nylon, polyester and all types of contamination – coffee stains, traces of pet urine, wine, food, chewing gum, chocolate, etc. Residents of Finsbury Park N4 can schedule carpet cleaning appointment 24/7 and receive a non obligation free quote by calling us at 0208 861 0979! Sanitizing of residential and office spaces has never been so easy!